Britta Riley wanted to grow her own food (in her tiny apartment). So she and her friends developed a system for growing plants in discarded plastic bottles — researching, testing and tweaking the system using social media, trying many variations at once and quickly arriving at the optimal system. Call it distributed DIY, or Research & Develop It Yourself. If you want to build your own vertical garden you can join the Windowfarms community here, or buy an official ready made kit over at Windowfarms.com. Garden Didn’t Take This Year? 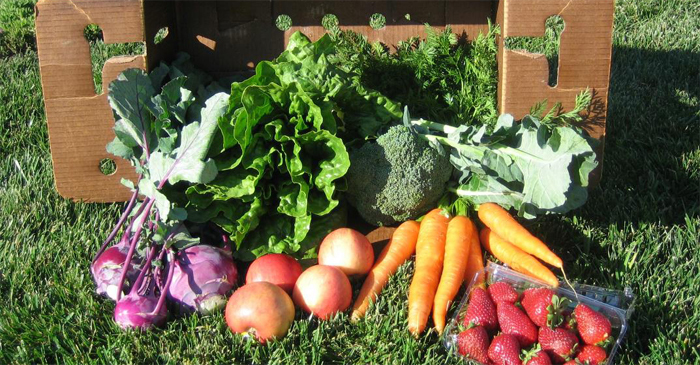 Here's How To Join a CSA!